I am humbled this week to share with you two features about the NIGHT PAPER project and the upcoming PAPER BURLESQUE event on May 19th at the Slipper Room. This morning, an interview with me about my process, the origins of my crafts and the upcoming events was published on The Art Director's Club website (ADCgloabl.org). 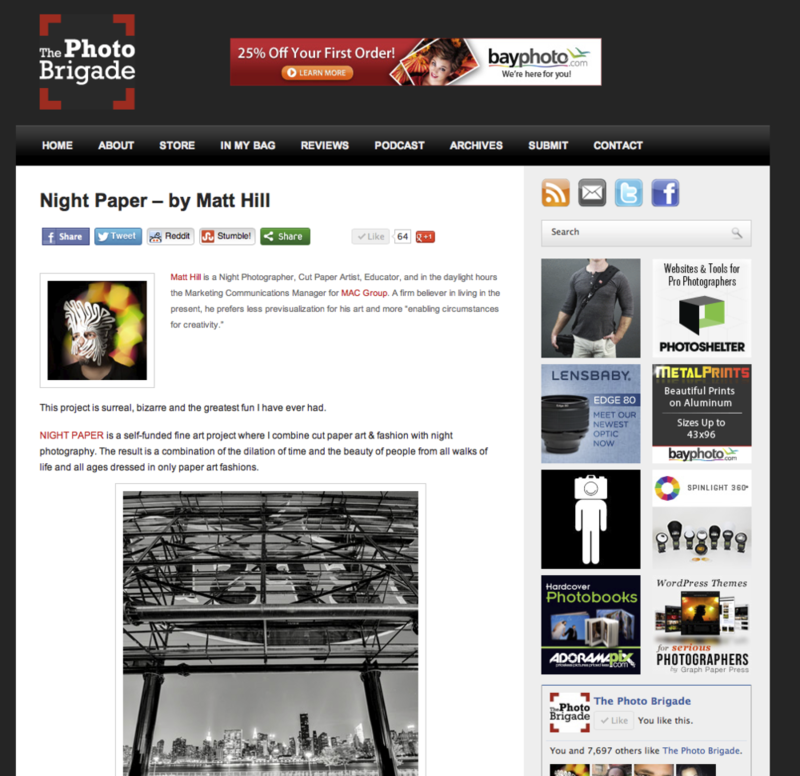 Earlier in the week, The Photo Brigade published a post I wrote about NIGHT PAPER and some of the technical processes behind the photography. Deepest thanks to Robert Caplin of The Photo Brigade and Megan Garwood / Zack Kinslow at the ADC for choosing to share my work with the world. I appreciate you!